Blockchain – The Next Big Thing? We are taking a look at the Blockchain technology – it’s the new buzzword we hear about in the news every day. 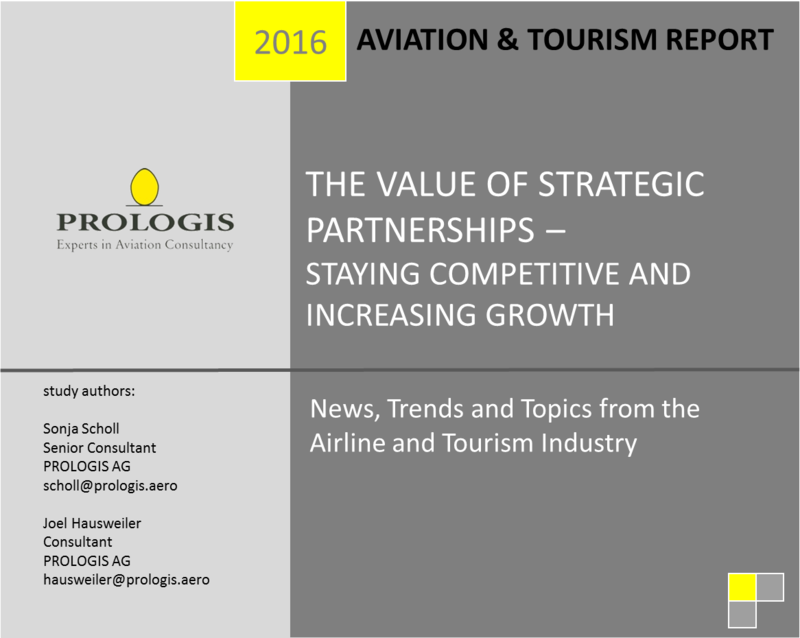 But what it is about and what does it mean for the aviation and of course tourism industry in general? Bitcoin is one famous example of how the Blockchain technology is used. Other possibilities to use the Blockchain are still in development. Just imagine you drive to the airport, board the aircraft, arrive at the destination and go directly to your hotel room without standing in line one single time. Blockchain could make this – and more – possible. 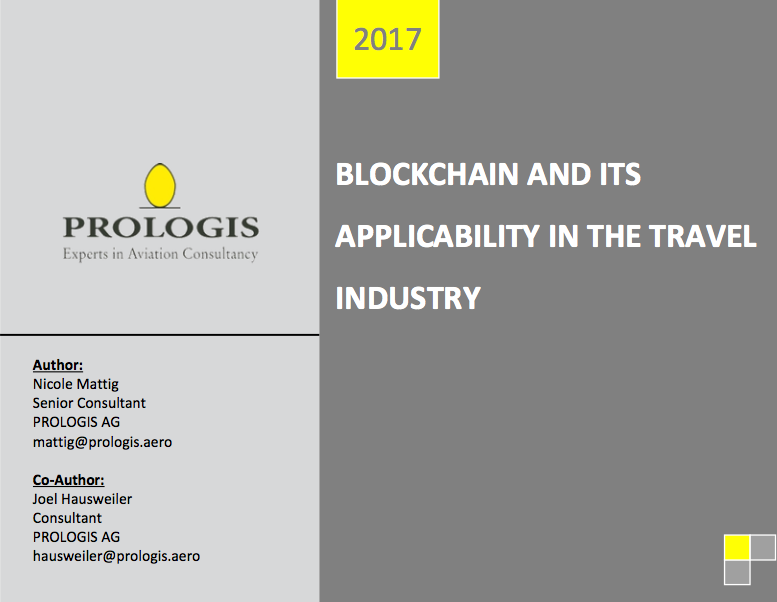 Read our paper about the Blockchain technology to find out how it works and what it is about, and get our outlook on what might be possible in the near future. Is your Company Ready for the Digital Age? Digitalization is one of the essential drivers of change today, offering a unique chance to shape the future. 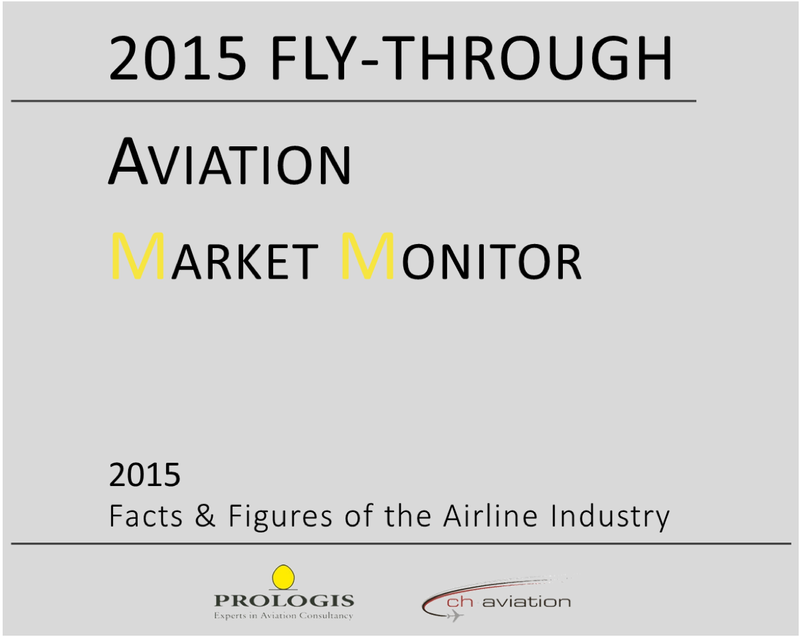 The aviation industry will be reorganized within the next 5 to 10 years. Digitalization provides an opportunity to reduce operational costs and increase revenue through improved customer interaction. 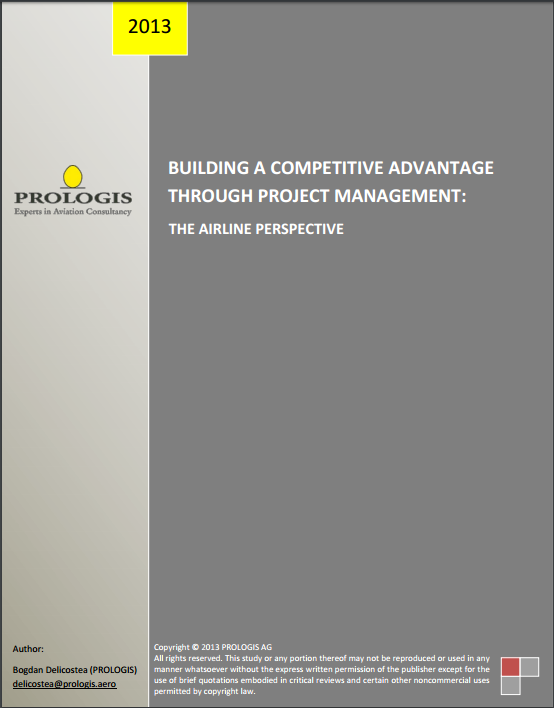 In times where airlines are hampered by slim margins, it is even more important to focus on new business models. Digitalization combined with AI (Artificial Intelligence) and IoT (Internet of Things) will allow companies to rethink their processes – examples include dynamic network scheduling and interactions with the customer. Is your company ready for that digital progress? Read about new possibilities and innovations for customer experience and impacts on flight performance as well as the threats that come with digitalization. Gone are the days when there was one large change every five years. Globalization and the intensification of competition are forcing organizations and companies to adapt more quickly, dynamically and flexibly to changing market conditions. The current business situation and circumstances feel necessity for companies to go through changes regularly if they want to persist competitive. 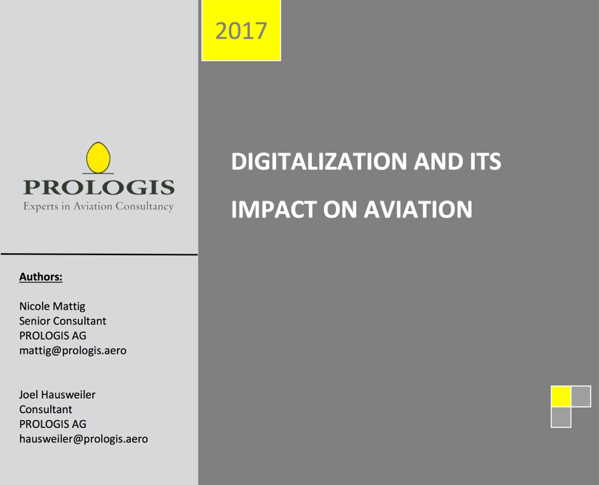 The aviation industry faces several unique challenges in terms of business processes and take-up of available technologies. 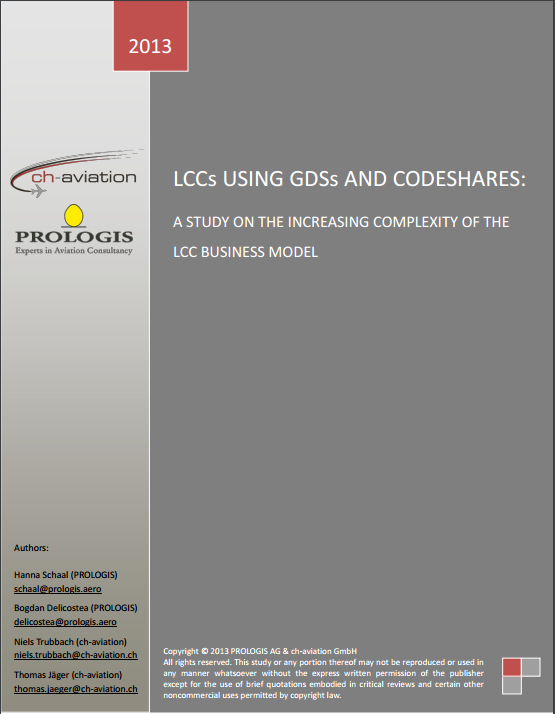 There are numerous reasons for this, such as the historic relationships between national carriers and government, industry regulation, compliance and safety issues. 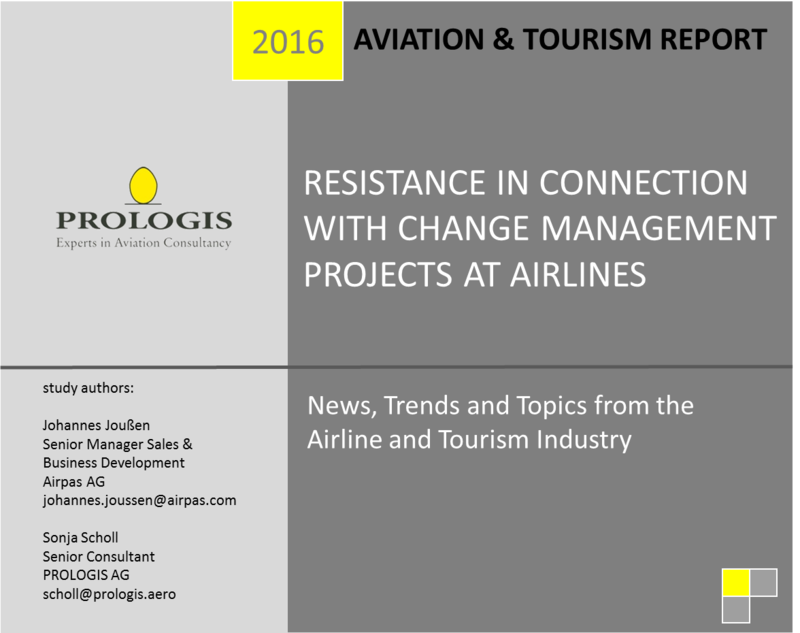 Aviation consultancy PROLOGIS recently backed a survey that was undertaken to investigate current practices, challenges and solutions in change management within the airline industry. 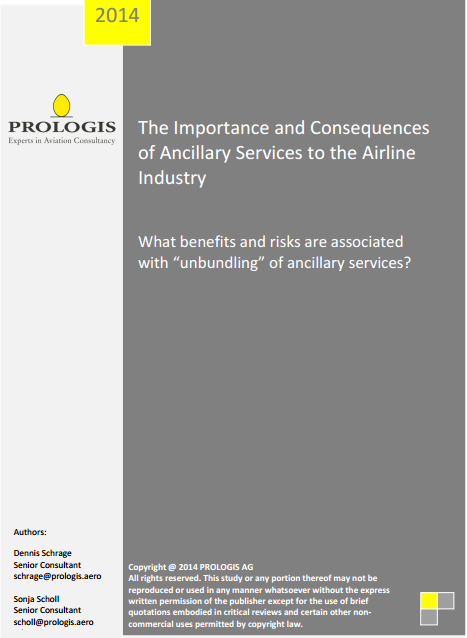 Over 34 airlines with different business models from all over the world participated in this survey and the results will be presented in this Study. The EU has been dramatically losing direct and intercontinental air connections for some time now, costing the sector around 26,000 jobs across Europe and threatening many more. 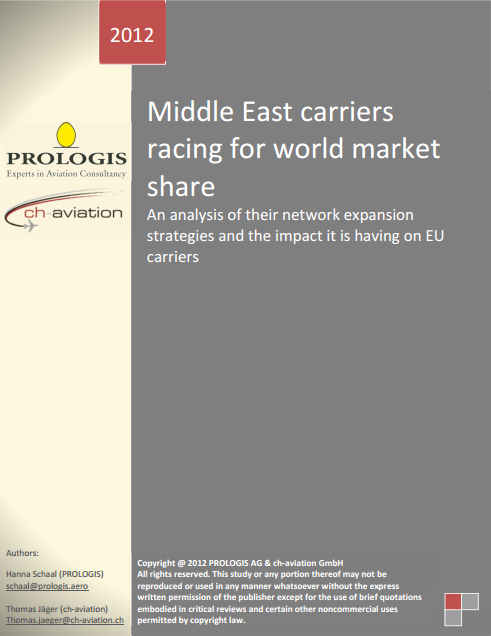 At the same time, networks of some Middle Eastern carriers from the Gulf have taken over a large part of European connections causing transfer traffic between Europe and especially India or Southeast Asia at EU hubs to drop by up to 50% in 2015 compared to 2005. 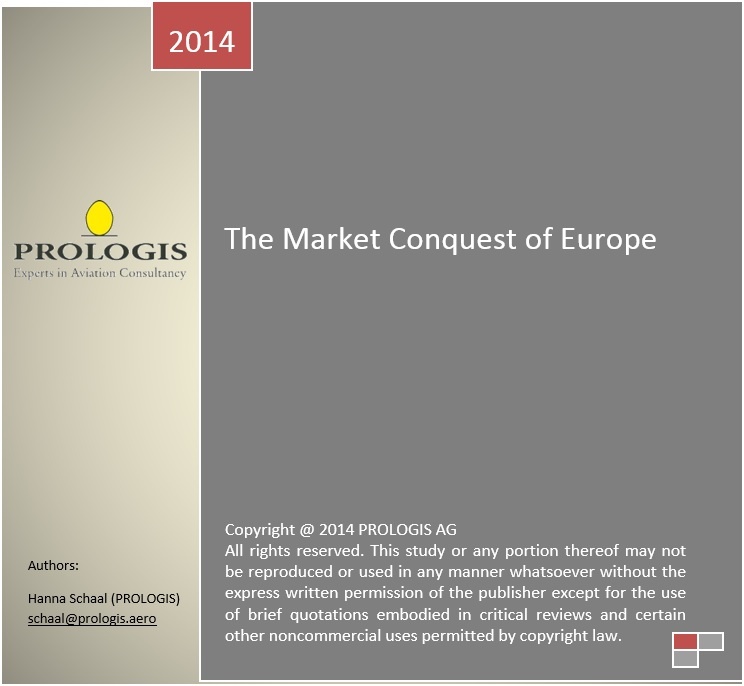 The main question is now how European carriers will react to the superiority from the Middle East to stay competitive? Are strategic partnerships like Interlining, Code Sharing or even Joint Venture agreements the answer to this and are they effective measures? IATA’s data standard NDC – the New Distribution Capability – continues to progress further with initial live implementations expected from 2016 on. But how can an airline actually deploy the new XML format? One could argue that facilitating NDC should not be too difficult: Just make sure that your current API is changed into an NDC XML API and you are ready to receive NDC content. Unfortunately, it is not that simple. NDC – Increased Diversity in Distribution: What is the Market’s Opinion on the New Data Transmission Standard? New Distribution Capability – what exactly is this? 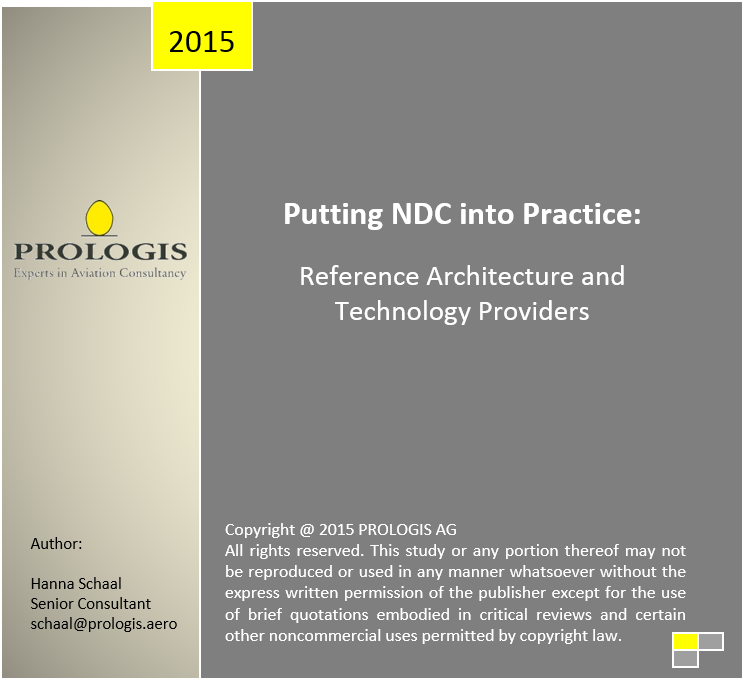 When you search the Internet for NDC, there is an abundance of material – much of the information seeks to explain its theoretical concept. 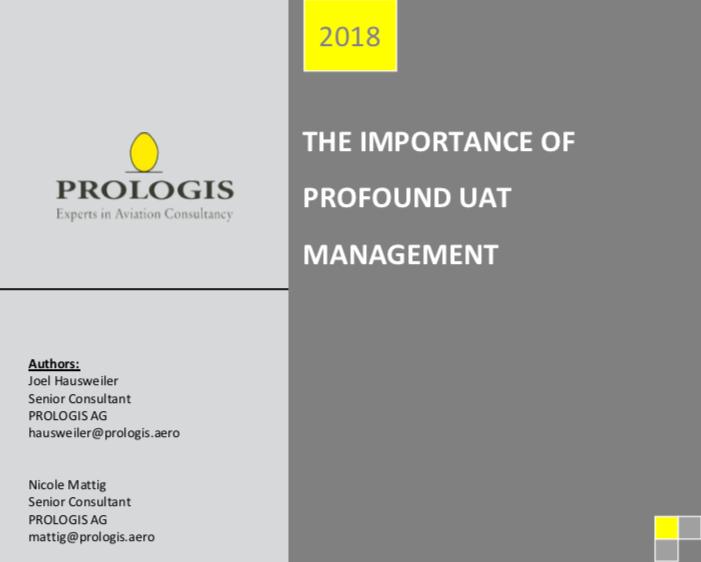 PROLOGIS, an international aviation consultancy with more than 50 clients in over 30 countries, wanted to get to know the market’s opinion and learn about the practical application of NDC. What are the opportunities and challenges of implementing this XML-based data standard according to the stakeholders? And to what extent are market participants already working on compatible solutions? Email us to receive the entire study in English or in German. 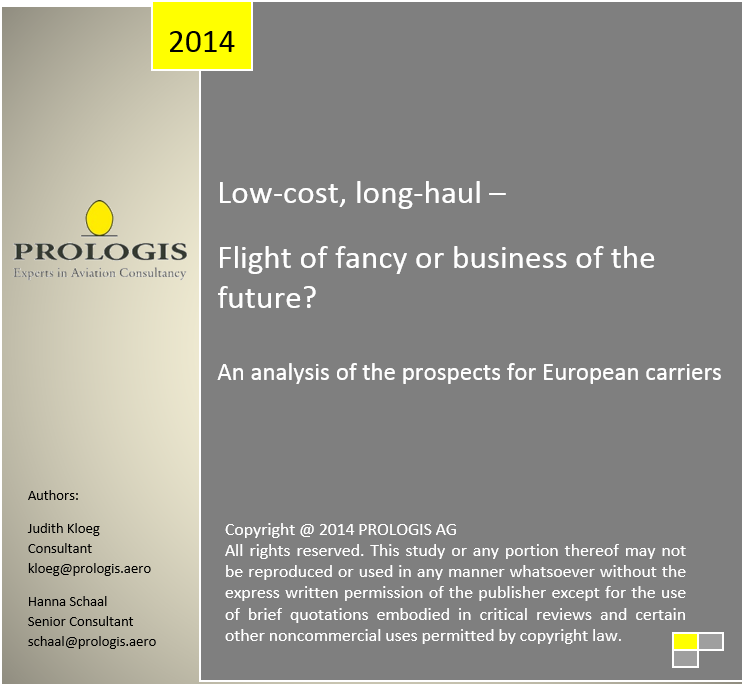 Low-cost, long-haul – Flight of fancy or business of the future? 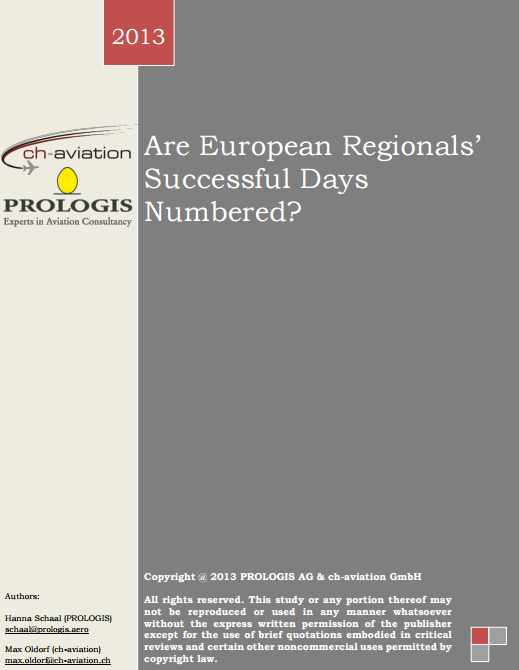 Are European Regionals’ successful days numbered? 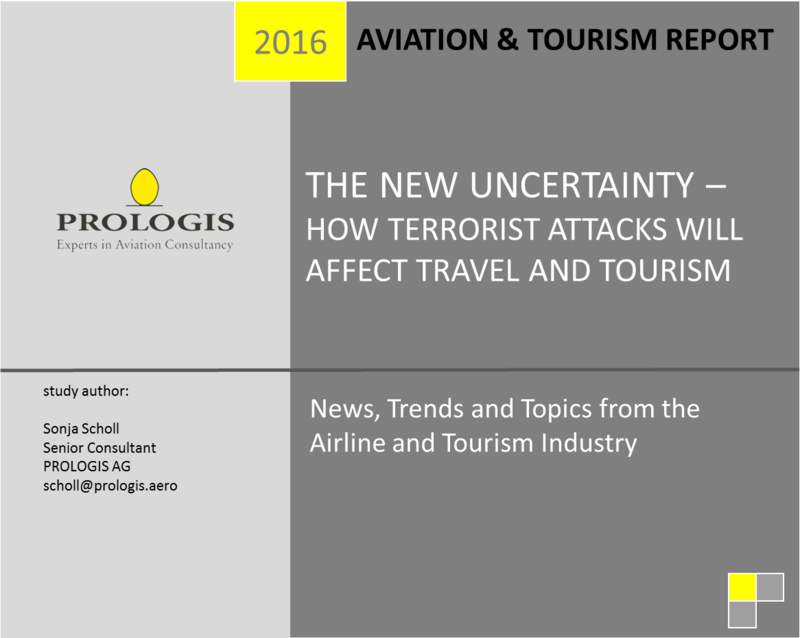 The impact of terrorism on the travel and tourism industry can be enormous. It can lead to unemployment, homelessness, deflation and many other social and economic ills. But the sad truth is that the number of terrorist attacks world-wide has quadrupled since September 11, 2001. So it is a hard blow against the international economy due to the fact that the tourism sector accounts directly and indirectly for 9% of employment worldwide and 10% of the GDP. Not only tourism, but also associated touristic companies like airlines, tour operators and hotels suffer in particular when consistent terrorist attacks affect tourist’s decisions and when terrorist organization specifically target the travel and tourism industry. 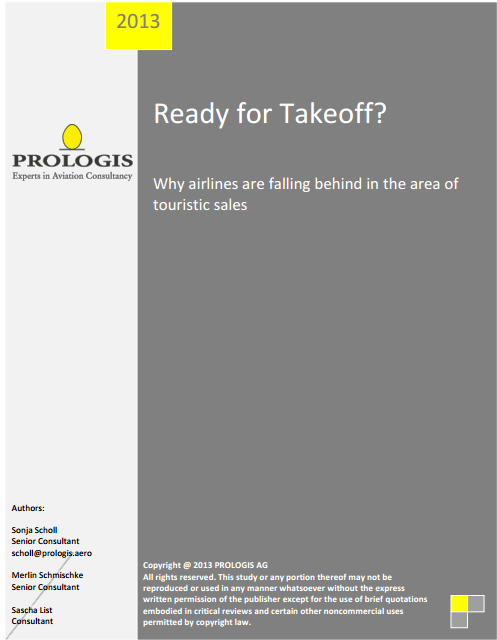 With this report including statistics, views and action possibilities, PROLOGIS presents a topic which affects the aviation and tourism industry deeply these days.